What is a Simulation Exam? They test you on what you have learned and provide an opportunity to practice timing strategies and building up stamina. While a simulation exam will not give you your exact score, it can give an idea of how you might score. By the time you take your simulation exams, you should know the material. We recommend the following schedule for the PMP Simulation Exams. Plan to take at least 4 PMP simulation exams to thoroughly prepare yourself. These tests should be taken in real time and in test-like conditions. Try not to take too many simulation exams—you may burn out. 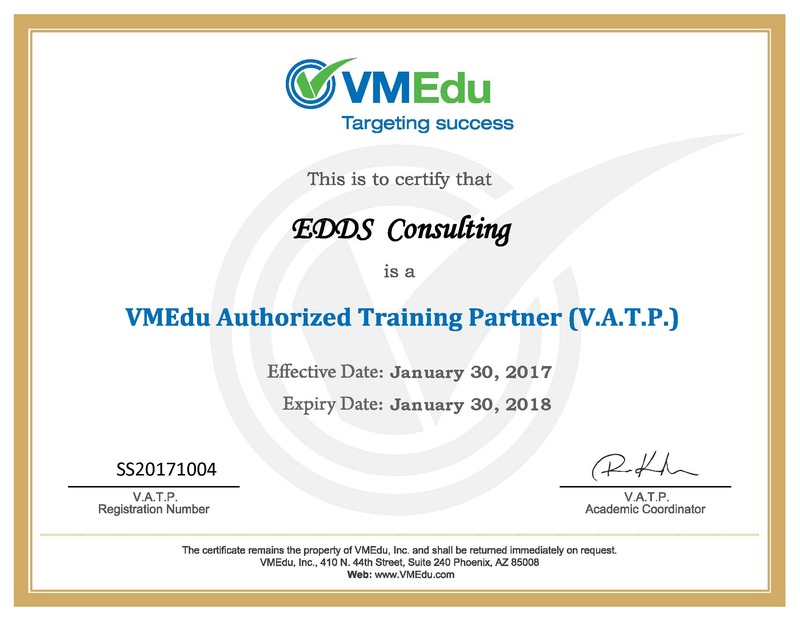 Since, the simulation exams provided by EDDS Consulting present a detailed review which includes rationale for the correct answer and references to the PMBOK Guide, it actually serves as a diagnostic exam. Use the PMBOK references to identify the areas where you may need to focus more. Carefully and thoroughly review your exam results and use them to plan your next study session before you take the 2nd PMP exam. We suggest that a score of 80% correct answers in our simulation exam indicates that the candidate is in very good shape to pass the final PMP exam. Remember, no tests the day before your actual exam! The day before your exam, do some light studying and try to relax.